2. Do handwritten messaging intentionally and set the mood for crafting thoughtful messages. 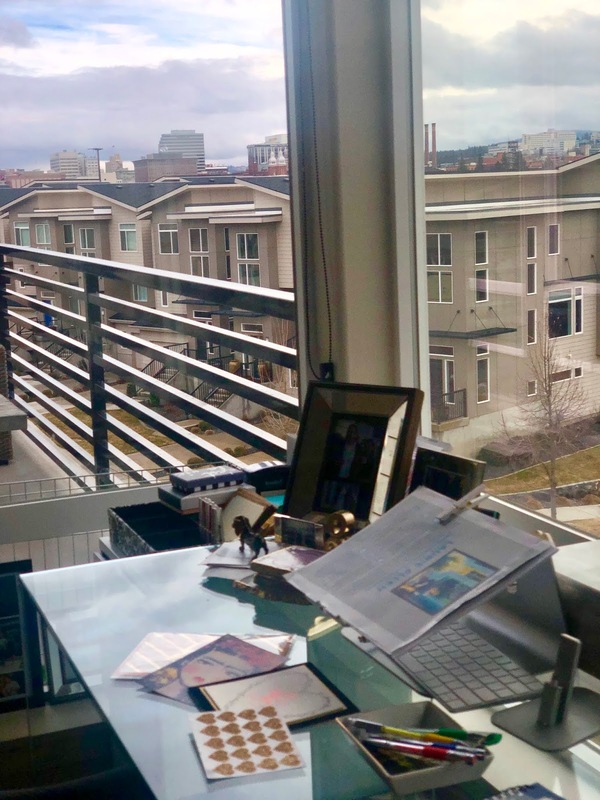 For example, I sit at my desk, occasionally gaze at the city view and write a few notes at a time. Light a candle, sip coffee, tea or wine, play soft music and dedicate a small but significant time to it. 3. Don’t worry about what to say. This doesn’t need to be a big undertaking. A few thoughtful sentences is all you need. Due to social networks, we all know what’s going on in each other’s life. Think about the person you’re writing to and write a compliment or a congratulation, send encouragement or condolences if needed. I saw, read or remembered the time...and thought of you is a good start. Once you get going, you’ll find it’s easy and rewarding to write someone. Write spontaneously, genuinely and be encouraging if necessary. Your words matter and someone you care about may need to hear from you more than you know. It’s a small but significant movement to resurrect the handwritten word. I believe the world would be a more gentle place if we started communicating intentionally and thoughtfully with each other.